When it comes to choosing two bedroom apartments in Lodi, CA, you have options. At Meritage Apartments, we offer both traditional two bedroom apartments in Lodi, as well as single-story cottages with extra charm. Many of our Lodi two bedroom apartments on the ground floor include large yards, which isn't a typical feature of apartment homes. 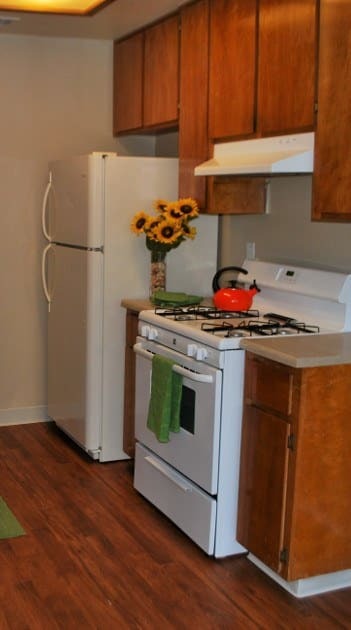 Meritage Apartments helps you create a home of your own at our Lodi apartments. With full kitchens that feature custom birch cabinets, dishwashers, and garbage disposals, you'll be able to prepare delicious meals and entertain friends with ease. Keep your home the perfect temperature depending on the weather and season with central heating and air conditioning. Welcome home to Meritage Apartments in Lodi, CA. Contact Meritage Apartments for more information about availability of our two bedroom apartments in Lodi, CA.